Joining the hugely popular Score Tracker App, we have just launched the new Golfshake Golf Daily Content App for iOS, now available to freely download from the iTunes Store. This has been designed to keep our golfers updated with all the latest news and features on the website, providing a daily fix of gear and course reviews, not to mention regularly updated tips from our vast Tuition Section library. 'Golf Daily' is the theme of this new App, and it will be a constantly evolving platform. You will see our weekly tour recaps and previews, the latest insights and analysis from the world of golf, informative and engaging equipment reviews and features, and the deep resource of course and travel information that we possess, helping you choose where to play. 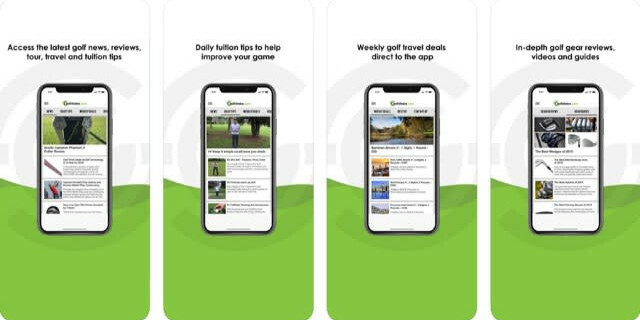 We'll have 'Daily Tips' in the form of quick tuition videos, all directly accessible on your mobile device, as we aim to fulfil the Golfshake mantra of helping our golfers to Play More & Play Better. Additionally, so you remain fully connected, golfers who download the app can opt-in to receive notifications that will alert them to the latest content and breaking news on Golfshake. You can opt-out of push notifications at any time. Accepting push notifications will allow Golfshake to store a unique identifier relating to your device, no other personal data is stored. Ultimately, we hope that the new Golf Daily App can become an essential and rewarding addition to being part of the Golfshake Community. The new Golfshake 'Golf Daily App' can be downloaded from the iTunes App Store. For more information, visit https://itunes.apple.com/gb/app/golf-daily/id1256540663?mt=8.